Originally published in 1964, Greybeard is a post apocalyptic vision by Brian Aldiss, the version reviewed here is for the Gollancz SF Masterworks collection. Greybeard is all about the human ageing process, growing old (and being old) - an idea that reminds me of something a pessimistic friend once mentioned (somewhat mistakenly) decades ago that from the age of around 20 every day you are slowly dying. While that statement is clearly false - it's not until the human body reaches it's 40's or older than cells die quicker and more cells die than are created - I can understand the morbid curiosity that comes with such a discovery. The novel is set sometime after a nuclear accident leaves most mammals (including humans) on the planet sterile and when we join the story society appears to be largely in it's death throws with most of the remaining population over 40. It's an idea that PD James revisited with the 1992 novel and 2006 film "Children of Men" (the film is a very good British scifi) although Brian Aldiss did it first here and in my opinion did a better job too. The quality of the writing is excellent, some of the passages are almost poetic in places with a gentle, bittersweet and almost reposeful predication. It's also written in a literary style and other than the main theme there are no other tropes of the genre. There is something faintly and strangely amusing about a group of oxygenarian's fighting and carrying on in a society that precludes youth itself. This isn't a story about the violent side of an apocalypse though, the end of the world here isn't as sudden as many books or films, here the death of humanity is as gradual as the ageing process itself. This is about what would happen to everyday people and the society around them should they wake up one day and find out that they are essentially the last of their kind, that after they grow old and die the earth will be rid of it's human infestation. The character of Greybeard (Algernon Timberlane) is masterfully realised, one of the youngest people on the planet and yet clearly no longer a young man, he is captivatingly complicated - given to fears and doubts, making mistakes and aspiring to a greater life. In other words he is a quintessential human, a suitable vehicle to explore the human condition and it's effect on adversity and the exploration of mortality. We journey with Greybeard, his wife and a few friends as they search for a better place, for some small ray of hope in the bleak landscape that is post apocalyptic southern England. The novel also makes extensive use of flashbacks to provide a backstory and build the characterisation and this is handled in such a way that it doesn't detract from the main story. There isn't a huge amount of action, but to be honest if there was it would feel out of place, this is a very personal account of the end of days, and it's all the more powerful for that with many subtle nuances at play and a alluringly smooth, equable pace. 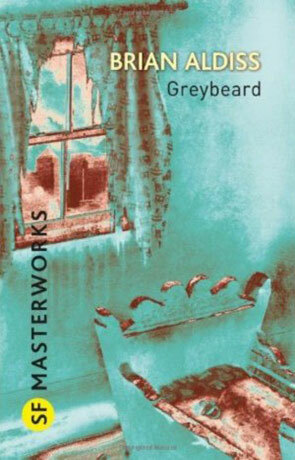 Greybeard is one of those hidden gems, a rare find that makes you kick yourself for not discovering it sooner, a masterful piece of literary science fiction and a poignant tale of human mortality. Written on 15th March 2011 by Ant.